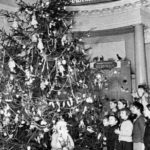 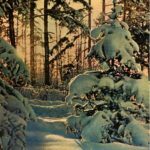 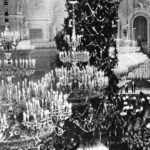 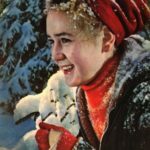 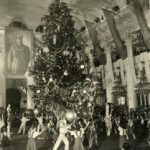 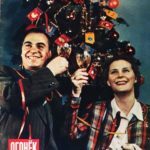 Magazine Ogonyok New Year celebration chronicles – vintage photographs of 1940-1960s taken during New Year’s Day celebration in the USSR. 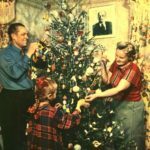 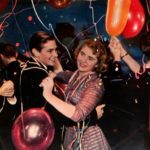 The smell of tangerines and a living Christmas tree, hissing champagne glasses and optimistic song from the TV, the taste of salad and a chocolates … Everyone remembers the celebrated New Year in the Soviet Union, all of these feelings are familiar. 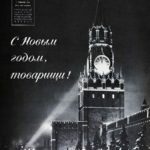 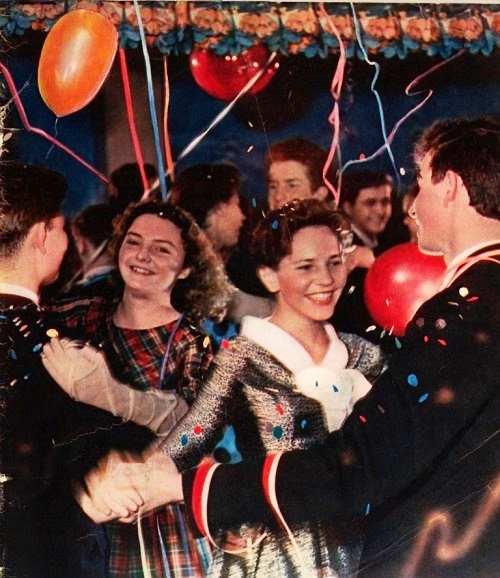 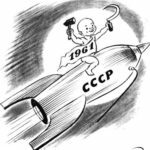 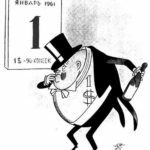 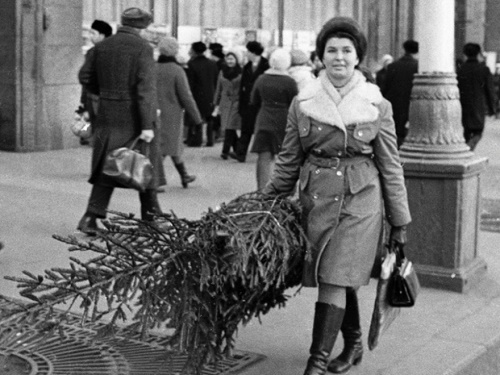 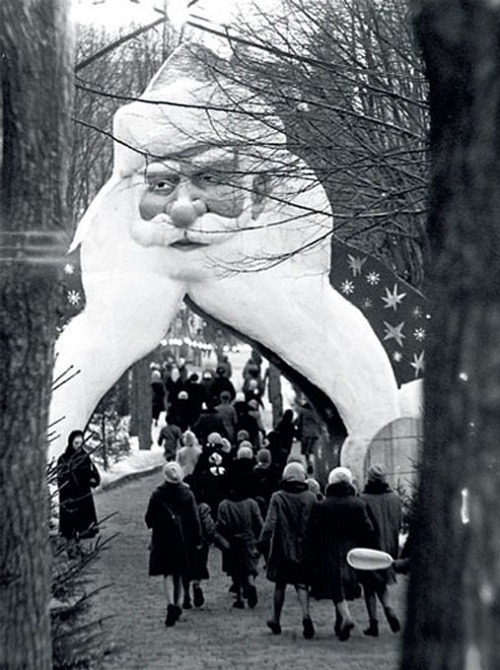 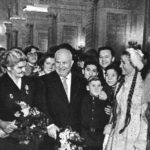 And the most important feeling: in the USSR the New Year celebration was much happier than it is today. 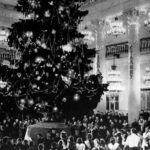 The first part of this tradition has become an indispensable Christmas “Blue Light”, broadcast on the first national channel. 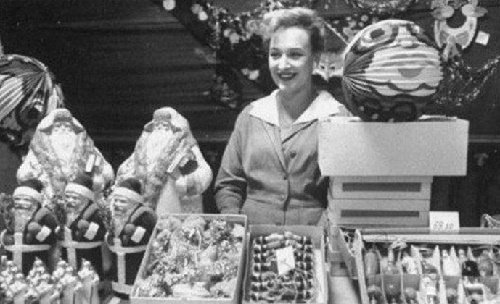 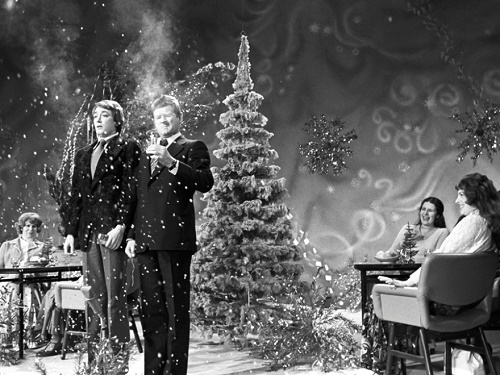 Since 1964, it became an annual Christmas drive, and for twenty years the songs and jokes of this TV show accompanied the Soviet New Year’s holiday. 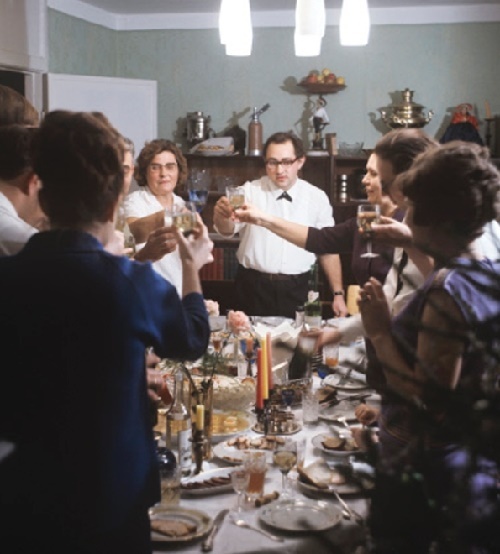 The second tradition in 1976 was the film “Irony of Fate, or Enjoy Your Bath”. 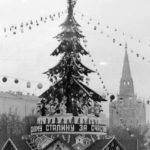 Eldar Ryazanov’s comedy not only strongly associated with New Year’s Eve (shown annually), it also has served as a source of some of the traditions of decorating the house for the New Year.